ALASKA shored up its frontline by acquiring Jake Pascual from Star in a trade for Rome dela Rosa. 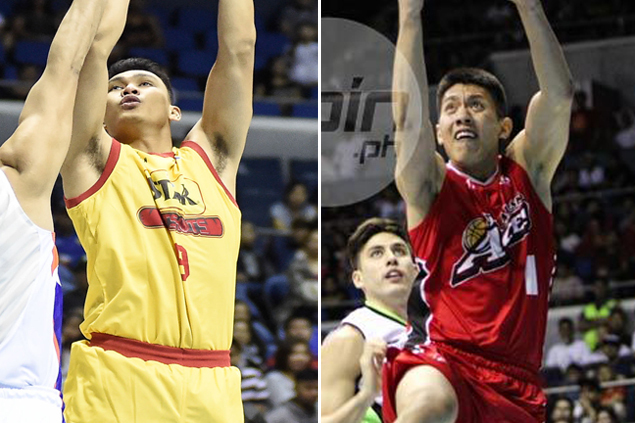 With Sonny Thoss and Noy Baclao still out with knee injuries, the Aces accepted the trade, which the Hotshots initiated between two San Beda products. Aces coach Alex Compton confirmed the development on Friday. “We will miss him (Dela Rosa) indeed, yet the needs of the team dictated we get a big, and we are excited to get the quality of Jake Pascual,” said the American coach, who received a call from Hotshots coach Chito Victolero on Wednesday to ask for the trade. As of writing, the trade papers were on their way to the Commissioner’s office for approval. The Aces are getting a promising 6-foot-3 ¾ big man who never settled at Star after putting up an impressive rookie season at Barako Bull, while the Hotshots took a lockdown perimeter defender who fits Victolero’s system. “When Chito and I were describing to each other both Rome and Jake, it honestly sounded like both players were like twins in terms of their character and toughness,” Compton said. “It is nice to see two PBA teams making a fair trade that should really benefit not only both teams involved, but also—and I think this was very important to Chito and I both—we believe it really benefits the players traded,” he added. Pascual and Dela Rosa were in the same 2014 draft class, with the former picked eighth overall by Barako Bull before the latter was taken five picks later by the Aces.